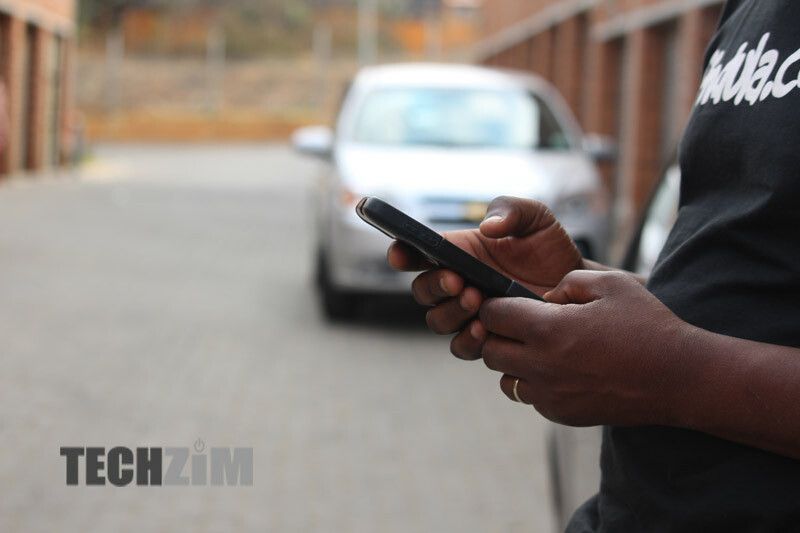 Home » Business » Trading Of Shares On The Zimbabwe Stock Exchange Using Mobile Phones Is Almost Here, Are The Listed Companies Ready? This morning we were gonna witness the launch of C-Trade, an online and mobile trading platform for Zimbabwe’s capital markets. Unfortunately, the launch has been postponed yet again. I am disappointed because the postponement was because the Guest of Honour is not available. Zimbabweans have a fascination with big launches, I am more for rolling things out mabiko tinozoita time time (then banquet later). Anyway, that’s not my focus today. I am excited about the ability to remotely trade on the Zimbabwe Stock Exchange (ZSE) primarily. I once shared my first experiences trading there- it was all very manual and involved travelling to my broker’s office every time I needed to buy or sell a counter. The Securities Exchange Commission of Zimbabwe (the regulator of the capital markets) have shown sincerity in making participation in these markets mainstream. Kudos. Yesterday a colleague of mine was sharing with me how she can’t wait to start trading on the ZSE for the first time as soon as the mobile trading platform goes live. I was taken aback: how will she make her decision which counters to buy? Back when I started my experimentation with the markets there was not much information available. My friends and I relied on newspapers and what the broker said. All listed companies have websites? Surprisingly no. 10% of listed companies on the ZSE do not have corporate websites. 90% is great but to be honest there is no excuse for the 10% that have no digital real estate. For comparison, 5% of listed companies on the Lusaka Stock Exchange have no websites. Having a website is obviously not enough for investor relations if the websites do not have an investor relations (IR) section. 56% of companies on the local exchange have this essential section on their website. Interestingly 48% of the companies that have the IR section are clients to Big Law Management Consultants (the sponsors of this article who do investor relations for listed companies). Comparatively Zimbabwe is doing much better than its neighbors. Of the four companies that we compared, Botswana has the least percentage of listed companies that have an IR section on their website, only 6%. Malawi has 33% and Zambia has 42%. The annual report that listed companies are mandated to produce is the primary source of information for an investor. It’s good to know that as at 31 March 2018 70% of the ZSE listed companies had the latest annual report available on their websites and 59% had the past three annual reports available. 36% of the companies have their share price displayed on their website. Interestingly again, 79% of those that do are clients of Big Law Management Consultants. Only 23% of the companies have their share chart available on the website. 92% of these are Big Law customers. On this score again Zimbabwean listed companies are doing much better than their counterparts in the region. How about social media and email? 10% of the companies on the ZSE have no social media presence completely. Yes no Facebook, Twitter, Linkedin, nothing. The most popular platform with the ZSE companies is Facebook which 87% of them have an active account. 54% of the companies have Linkedin and 41% are on Twitter. A surprisingly low number: 11% have email alerts for investor type information. By proportion, Zmbian listed companies are way more present on social media than Zimbabwean ones. Only 3% of the Lusaka Stock Exchange listed companies have no social media accounts whatsoever. 89% of them are on Facebook, 87% on Linkedin and 85% on Twitter. Again surprisingly, only 10% send out email alerts. Econet Wireless Zimbabwe has a dedicated investor relations website http://www.ewzinvestor.com. The site is a full portal with a lot of helpful information and resources for investors and potential investors. This is commendable. As trading on capital markets becomes more mainstream it’s important that listed companies fulfill the spirit of their obligation to inform their public investors. Besides this being the right thing to do it is also beneficial to them to be always engaging with their retail investors because these individuals are very good potential customers. Who would be easier to sell to than a person who is already invested in your business? The Zimbabwe is open for business mantra continues to be sounded. Capital markets are the obvious places where external investors look at to assess the possibility of earning a return on their investment in Zimbabwe. The listed companies themselves must put their best foot forward and make it easy for investors to evaluate them. More importantly, the new local investors who will come encouraged by C Trade are gonna need access to information. An uninformed investor is an emotional investor and an emotional investor introduces too much fluctuation in how counters trade. Good investor relations and accessibility of information is a win-win-win for everyone. i opened a diaspora Steward account 3 weeks ago. Up until now l am not able to set up myself for mobile banking. I do not have an account number.